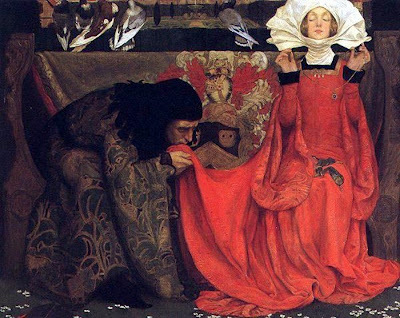 As part of my Masters in literature, I gleefully studied the poetry of Alfred, Lord Tennyson. 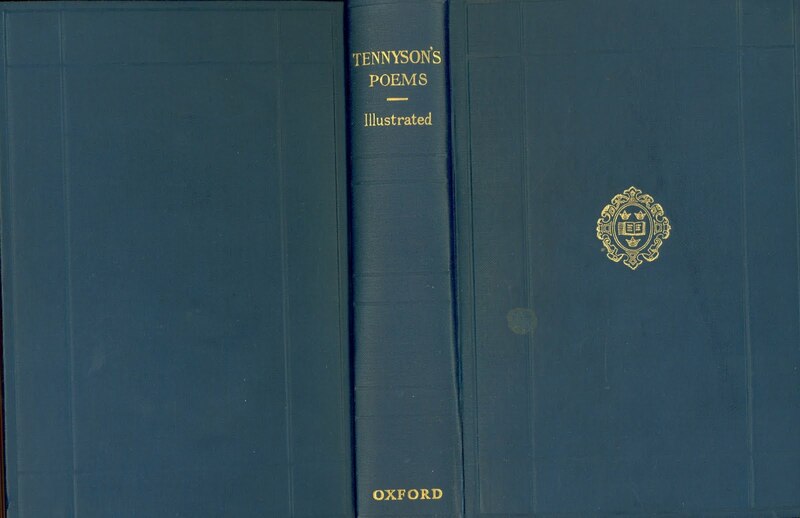 All very run-of-the-mill literature comprehension, but also they had a section on book history, so we had to go out and buy an alternative edition of Tennyson’s poems, then comment on how the ‘product’ impacted our experience of reading the book. I have to admit this totally changes the way you view a book, and is one of the reasons that I am unwilling to go electronic in my consumption of the written word. I’m the same with downloading songs, in fact it’s a miracle I ever gave up vinyl. 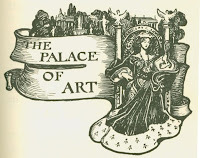 I visited one of the many second-hand book shops of Portsmouth and found a rather battered, turn of the century edition of selected poems, illustrated by Eleanor Fortescue Brickdale. I was familiar with Brickdale’s work, having come across some of her more well-known pictures, but hadn’t really given her a great amount of thought. 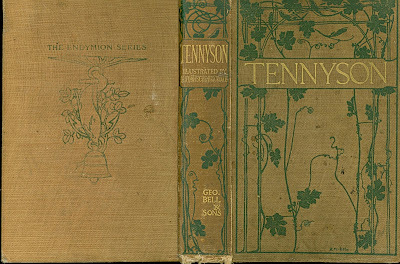 Then I saw the Endymion Tennyson. 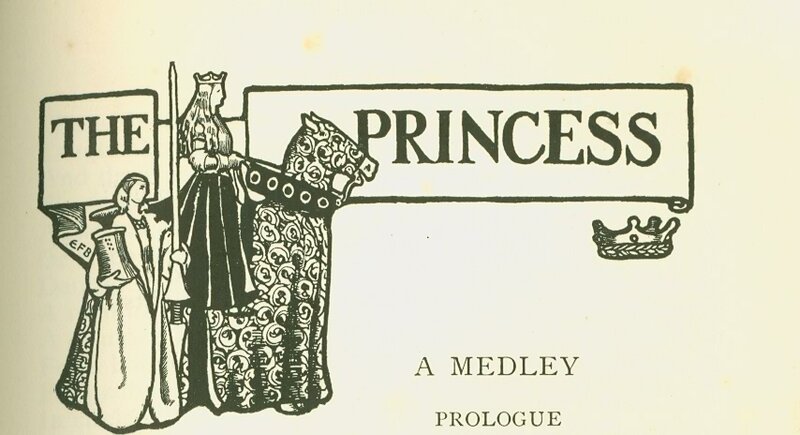 The sheer volume of her illustrations, from full page to small pictures, titles to the end papers is mind-boggling. I would like to dedicate the next three posts to a celebration to this one book and the work Brickdale did to create this amazing picture book. You can buy copies of it on Abebooks still - it is available with coloured pictures, but I have to say I prefer the black and white line drawings for their simplicity and immediacy. I will start with the presentation and title pictures. Feel free to make ‘yummy’ noises as this is utterly delicious. I loved the cover with the growing vines curling up it. 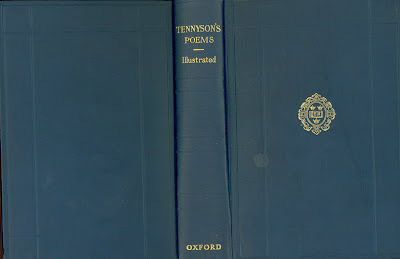 I have other Tennysons, but they tend towards the more ‘important poet’ end of the scale, with blue and gold covers. 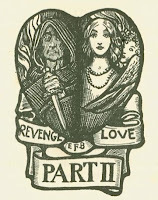 This is more in keeping with the Tennyson I love, the ‘Lady of Shalott’ era of Tennyson when he was a little off-centre and less sacrosanct as the Laureate. 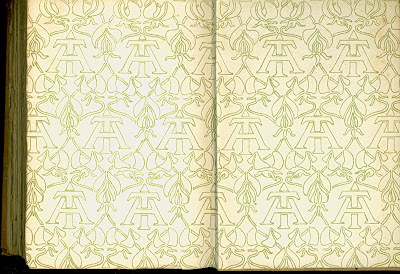 The endpapers are beautifully monogrammed with ‘AT’ for Alfred Tennyson, again with no deference to his title or reputation. 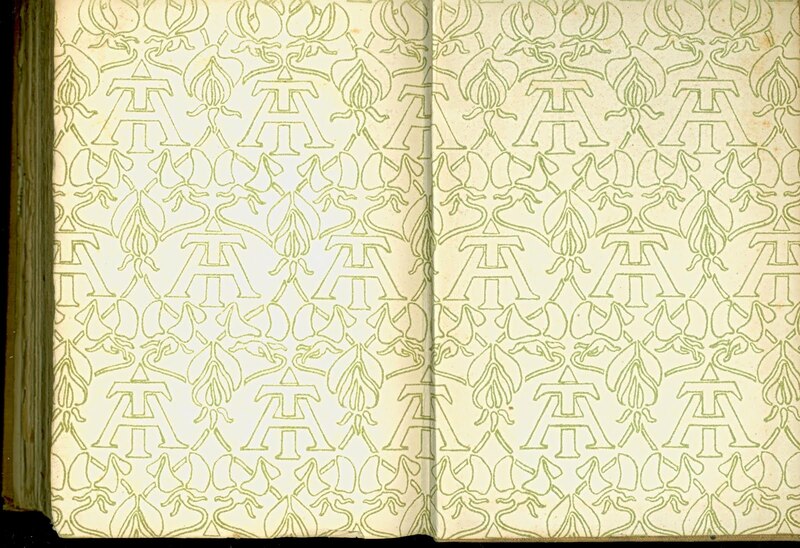 More ‘Nouveau’ organic decoration frames and repeats on the inside-covers, as if no page could be left undecorated. 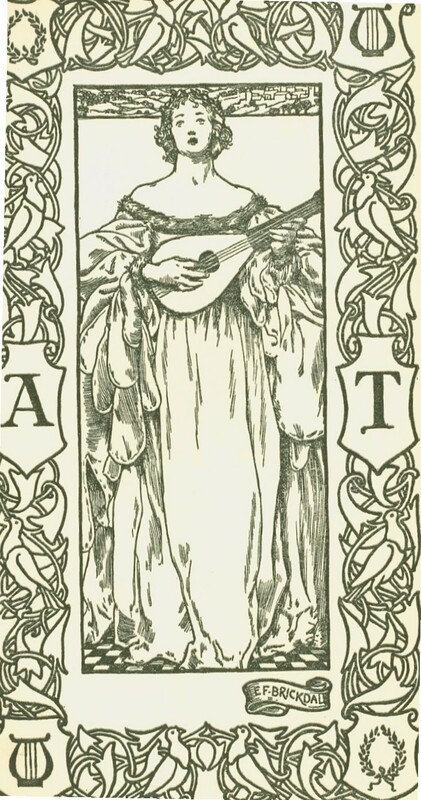 In case you were in any doubt, a personification of music and poetry graces the opposite page to the title, reminding me of Kate Bunce's Melody (1895). 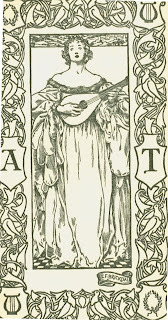 In other editions, there is often a picture of Tennyson, either as a sketch or a photograph, but in the Brickdale edition, a goddess of the arts, flanked by the initials ‘AT’ again welcomes us in. One of the joys of this edition is that Brickdale seems to have felt the need to illustrate everything, even when it frankly made no sense other than for the pleasure of seeing one of her drawings. 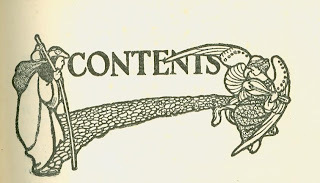 Above the contents list, blocking a little of the title, is a traveller, being comforted on his journey by a heavenly musician. 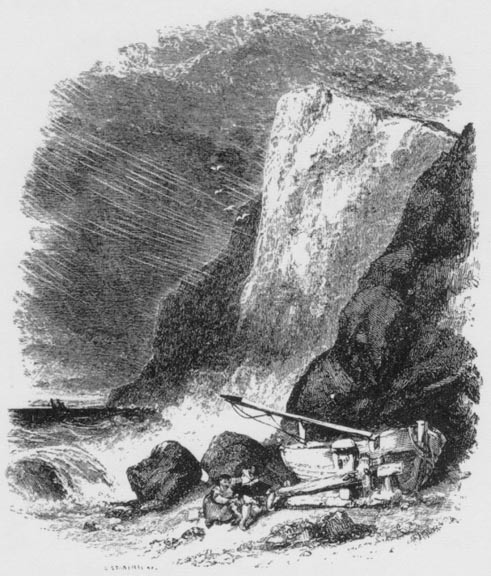 No doubt this is a metaphor for the reader, helped through life’s journey by the beauty of Tennyson’s verse. I’m not convinced the picture is based on the poem, although 'The Day Dream' does seem to sum up Rossetti’s attitude to Jane Morris when he painted the above image. 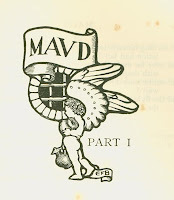 For 'Maud', the first illustration provides a rather generic ‘love imprisoned’ image, but Part II is marked by a superbly dramatic Revenge and Love themes split heart. 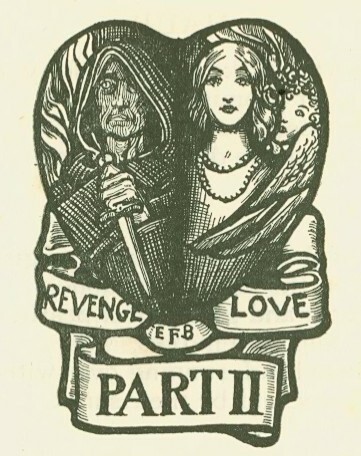 I think a contender for my favourite illustration from this volume has to go to 'Break, Break, Break'. I’ve seen this shown in rather a lack-lustre manner, for example in William Linton’s more traditional ‘stormy beach scene’, but Brickdale’s illustration has shades of the Hokusai Great Wave, the title being obscured by the rough tide. Again so interesting! 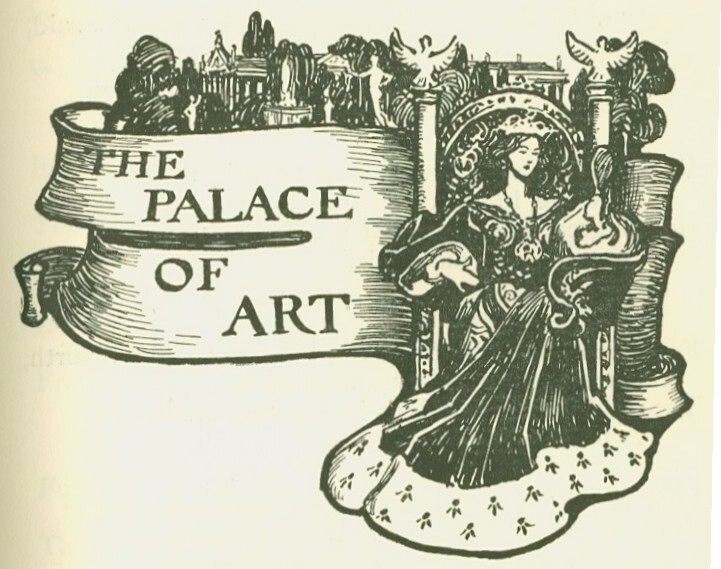 I am still ploughing through Fiona Mc Carthy's woderful and comprensive biog of Willam Morris! 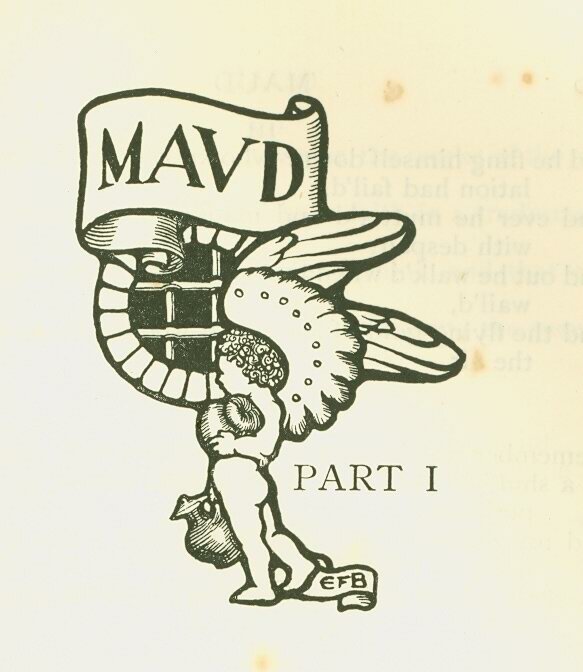 Great set of posts on this book. It is amazing how much time and effort EFB must have put into it. I assume she would have been commissioned to do the work, or was it just an idea she had. 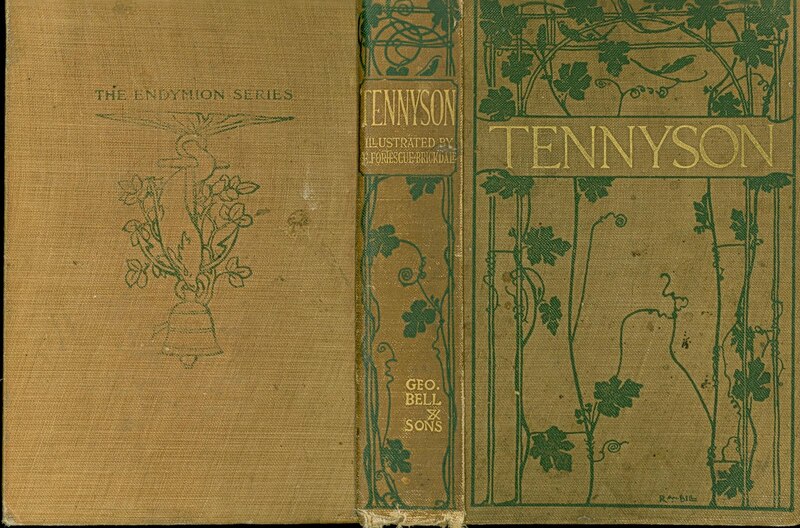 I wonder also why it was called the Endymion Tennyson? 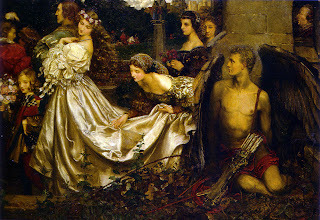 Endymion makes me think of Keats. 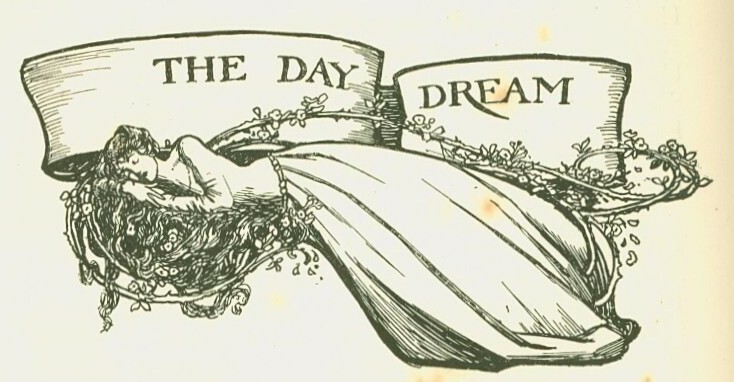 I am also struck by how the poems we hardly read now (the less well known ones) were clearly very popular with the Victorian/Edwardian public. 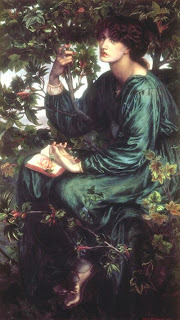 A very interesting question - possibly they did an illustrated Keats first? 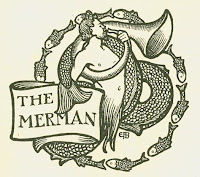 I believe I have it somewhere (or was it Browning? I have to go and check now!) 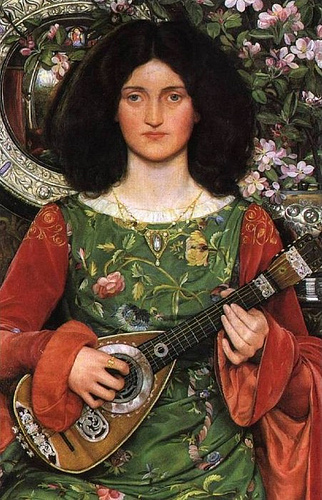 but yes, as you say, it does illustrate exactly what said 'poetry' to the 19th/early 20th century audience.